Many traders find intraday charts exciting and action-packed on the one hand, but also difficult and challenging on the other hand. 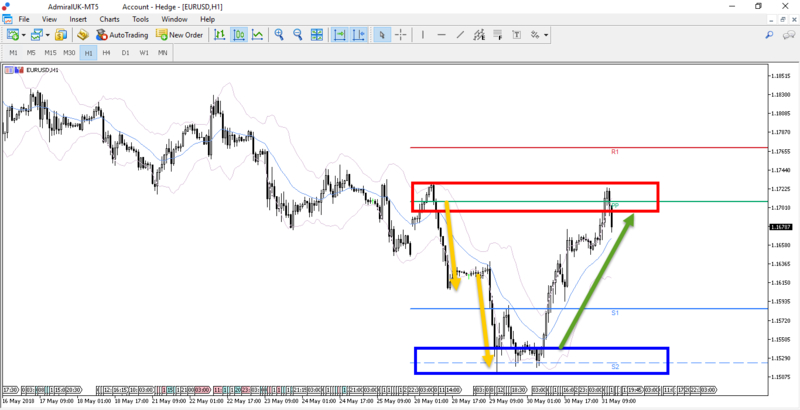 This article explains four specific tips and tricks that are useful when tackling the charts on lower time frames. We will explain how traders can use patience, Pivot Points, Fibonacci, and other tools for better and more informed trading decisions. Many traders already use daily Pivot Points (PP), but not many are aware that weekly Pivot Points (PP) are just as equally valuable. Weekly PP levels are key Support & Resistance (S&R) levels where traders can expect the trend to stop. They also indicate key breakout and bounce zones and show how much space (between the PPs) is available when trading. Not many intraday traders use weekly PPs because they tend to focus on the daily ones. Although the latter is equally important, the weekly levels offer more confluence and even stronger S&R zones. Traders will do well to avoid setups that are trading into these key levels. 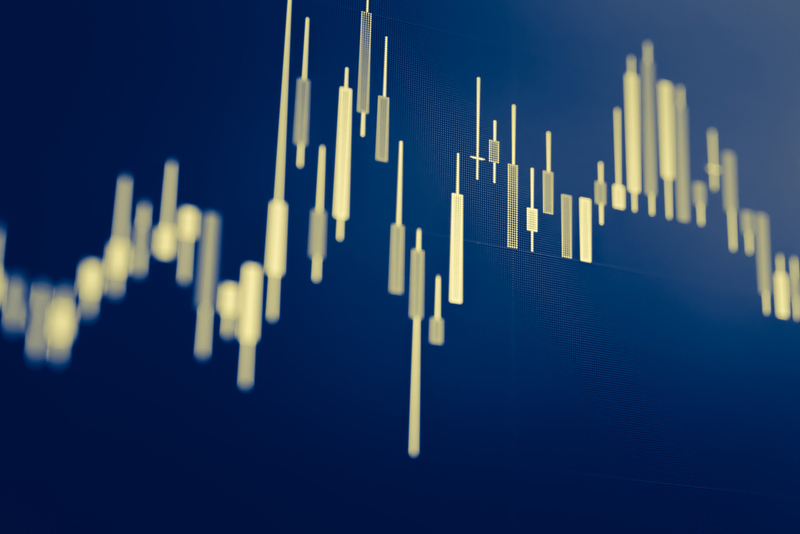 Admiral Markets offers its own Pivot Point indicator via a special plugin called MetaTrader Supreme Edition (SE), which can be used on both MetaTrader 4 and MetaTrader 5. MTSE offers 60+ extra features in addition to the PP indicator, including custom indicators, expert advisors, and other tools. Fear and annoyance are often the main driver of entries based on your emotions rather than the trading plan itself. Emotions can run very high when trading lower time frames. There could be a wide range of reasons for that, from missing a valid setup to chasing a setup that isn't ready yet. A trader's mind likes to play tricks on you. A great step in the right direction is simply done by avoiding hasty, fearful, and stressed decisions. Always keep in mind that the financial markets will never run out of new opportunities… The best is to focus on finding a new, better setup rather than fretting about old and missed ones. When trading 5 and 15-minute charts, traders often lose sight of the developments on higher time frames. In a way, they get distracted by minor price movements, forgetting or neglecting bigger price movements on the 4-hour and daily charts. Higher time frames offer valuable information about the market structure. The key to understanding market structure is spotting trend and momentum, S&R levels, and price patterns. The market structure helps assess whether the financial instrument is worth trading or not. It also helps with determining strong exit points. The Fibonacci tool is very useful for understanding S&R levels on higher time frames. They offer key bounce and break spots, entries, and targets. There are tons of forex currency pairs, indices,commodities and other instruments that can be traded at any given moment. How does a trader choose which one is interesting? The best is to find your niche and focus on either trending or ranging instruments, for example. You can also focus on charts that are showing particular price patterns. In general though, price volatility is a key factor when trading. If price movement is too slow, then the trade will go sideways for a long time. My preference is for charts that show decent volatility. 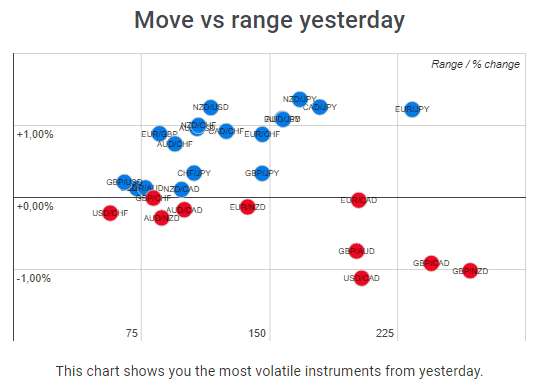 Especially, the comparison of currency movement vs. volatility is a key factor. This allows to select a pair that has both direction and volatility. The heat map shows direction on the left axis. The percentages show whether the pair has moved up (+1%) or down (-1%). The figures on the bottom show the number of moved pips. The higher the number, the greater the volatility. The best pairs tend not to have too low volatility.